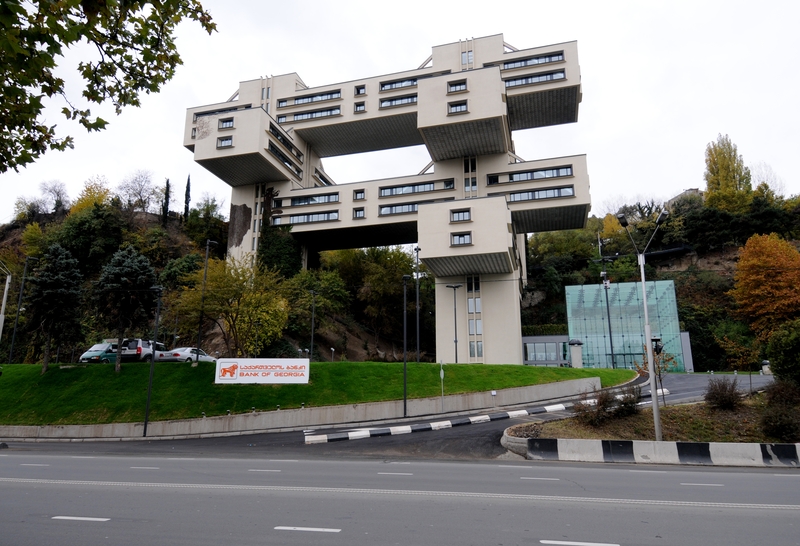 The Bank of Georgia headquarters (Georgian: საქართველოს ბანკის სათავო ოფისი) was built in 1975 to house the Ministry of Roads. 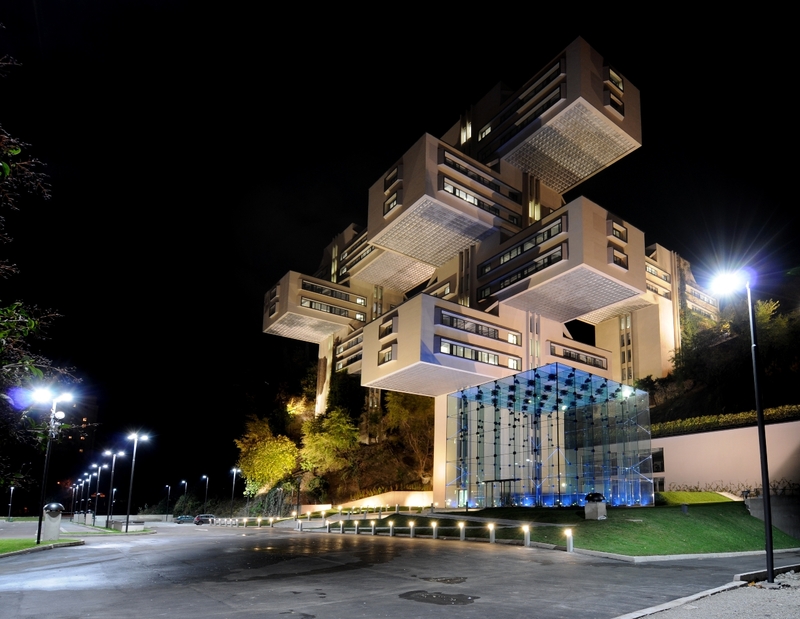 Situated on a wooded site by the Mtkvari River in Tbilisi, the 18-storey building was designed by architects Giorgi Chakhava and Zurab Jalaghania and consists of a monumental grid of interlocking concrete forms built in a “post-constructivist” style. 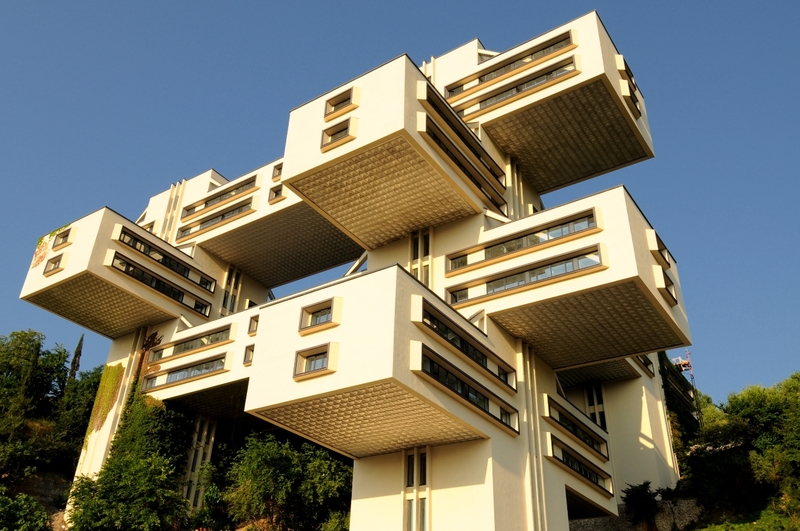 The Bank of Georgia headquarters building in Tbilisi. 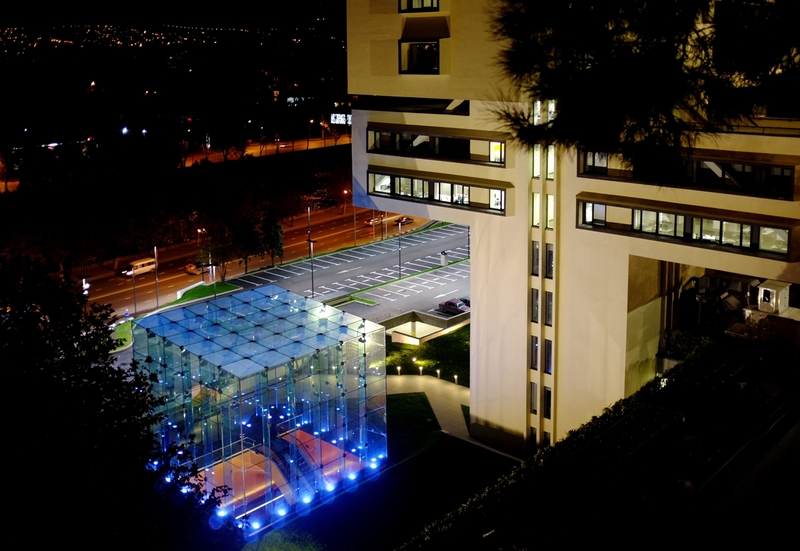 The Bank of Georgia acquired the building in 2007 and completed a refurbishment in 2011, adding an 11 meters high glass cube that serves as the main entrance and reception area. The Bank of Georgia headquarters in Tbilisi. The building has a total area of 13,500 sq. meters, its own cafeteria and fully equipped gym, and accommodates over 600 employees. 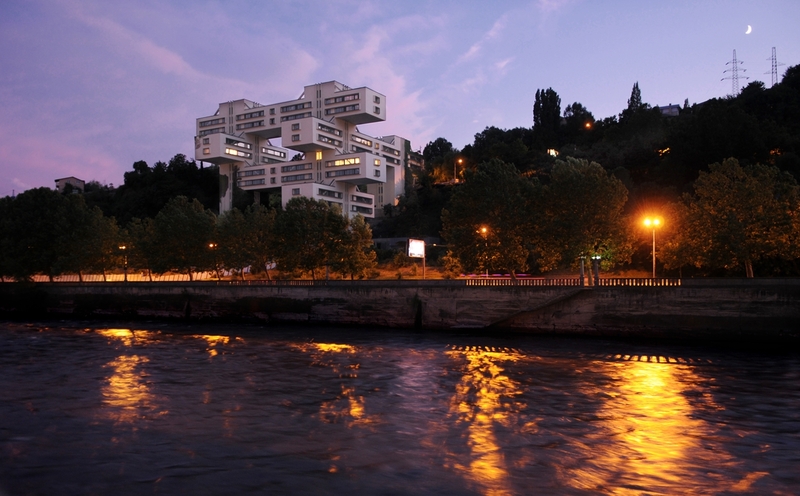 The building has featured in several renowned architectural magazines, as one of the best examples of constructivism style. In 2007 the building was conferred an Immovable Monument status under the National Monuments Acts. Photos courtesy of the Bank of Georgia. A beautiful building in a great town!! I loved my visit to Tbilisi, I surely will come back! 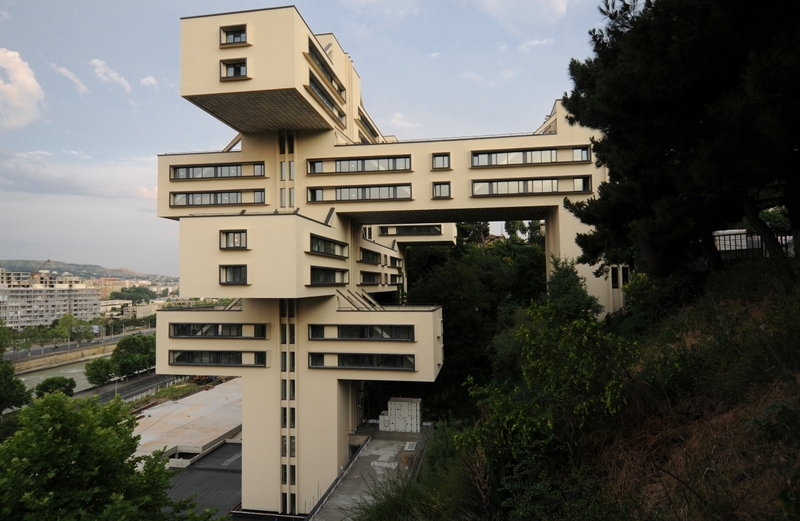 What is the address of the building?